No loss of life or property was reported. Srinagar: An exchange of fire was underway between security forces and terrorists in Wagoora, Nowgam, on the outskirts of Srinagar city late on Friday. The area had been cordoned off. No loss of life or property was reported. This is a developing story and more details will be added as they come. Earlier in the day, a terrorist was killed in an encounter with the security forces in Pulwama district of Jammu and Kashmir. The gunfight broke out in Awantipora area during the wee hours. 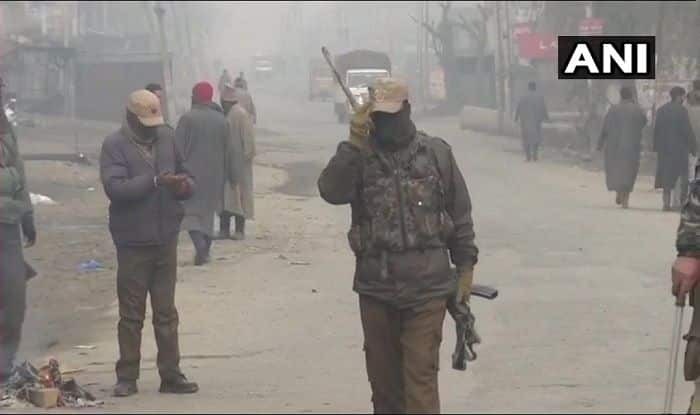 The security forces, on the basis of specific inputs about the presence of terrorists, launched a cordon and search operation in Banderpora area of Awantipora in the south Kashmir district on Friday morning. The terrorists fired upon the search parties, who in turn retaliated. The slain militant has been identified as Ishfaq Yousuf Wani, a resident of Qoil area of Pulwama in south Kashmir. The encounter comes six days after, police neutralised 6 terrorists, including a close associate of Zakir Musa, in south Kashmir’s Awantipora area. The slain militants belonged to the Ansar Ghazwatul Hind (AGuH), a terror outfit led by Zakir Musa and having allegiance to the banned Al-Qaeda.